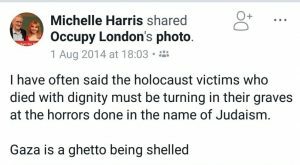 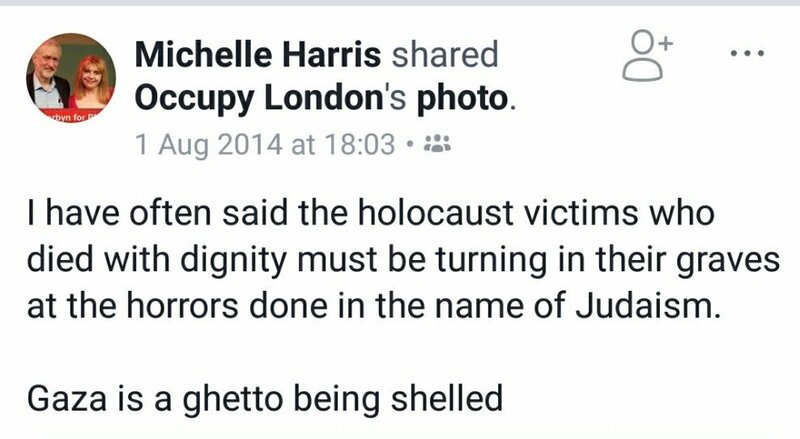 Michelle Harris, shortlisted to be Labour’s candidate in the marginal Hastings and Rye Parliamentary Constituency, has previously used her Facebook page to share anti-Semitic content. Harris, a significant pro-Corbyn Labour activist who was also one of the founding members of, and is an admin on, the 16,000 strong ‘Labour Party Forum’ Facebook group has previously shared an anti-Semitic post originally made by notorious conspiracy theorist (and general nutcase) David Icke. 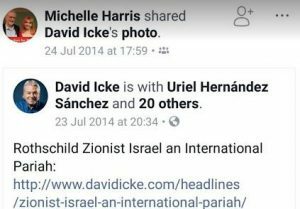 The historic post, which Harris shared in 2014, was a story entitled ‘Rothschild Zionist Israel an International Pariah’ (it’s safe to say that whenever you see ‘Rothschild’ and ‘Zionist’ together you’re dealing with an anti-Semite). 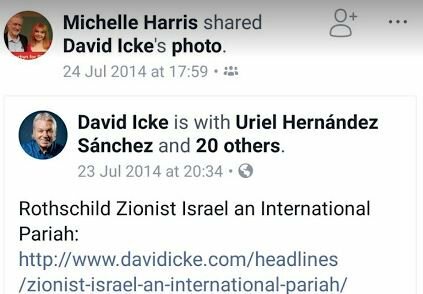 Also in 2014 Harris shared a number of other highly provocative articles, including from David Icke, on Israel/Zionists/the Holocaust. 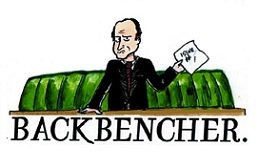 The Hastings and Rye Parliamentary Constituency is currently held by Home Secretary Amber Rudd with a tiny minority of around 300, so if selected Harris could easily take the seat (lets hope she isn’t). 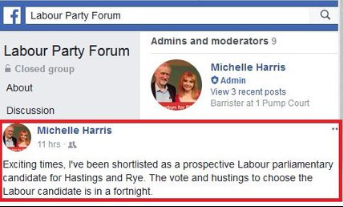 It will be interesting to see how the Labour Party responds to this revelation. 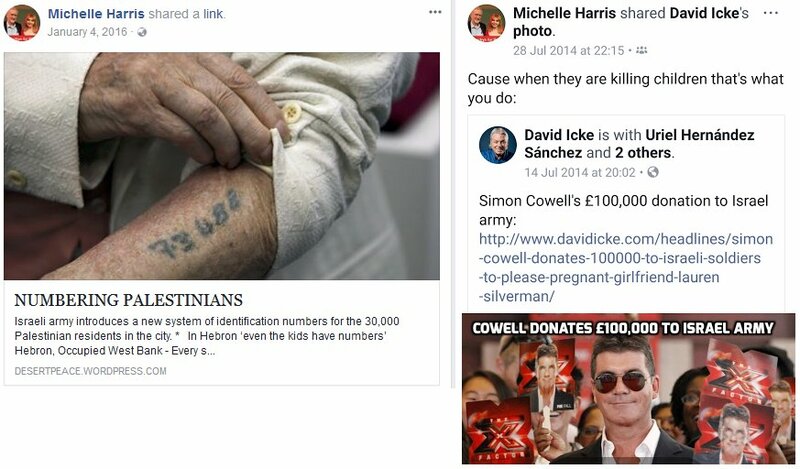 Attention was drawn to the historic Facebook posts by Twitter account #LabourAntisemitism (@GnasherJew) who specialises in exposing anti-Semitism within the Labour Party.